TeAM, Inc. has been selected as an awardee under the Information Technology Enterprise Solutions – 3 Services (ITES-3S) contract. ITES-3S is a $12.1 billion ceiling Government-Wide, Multiple Award, Indefinite Delivery, Indefinite Quantity (MA-IDIQ) contract managed by the U.S. Army Computer Hardware, Enterprise Software and Solutions (CHESS) office at Fort Belvoir, VA. The ITES-3S contract is available to meet Information Technology services requirements for the U.S. Army, the other military services, the Department of Defense (DoD) and all Federal government agencies. The ITES-3S contract services include: Cybersecurity Services, Information Technology Services, Enterprise Design, Integration and Consolidation, Network Systems Operation and Maintenance, Telecommunications/Systems Ops and Maintenance, Business Process Reengineering, IT Supply Chain Management, and IT Education/Training. Base Period of Performance, September 25, 2018 to September 24, 2023 with four 12-month option periods extending the contract to September 2027 – a total of nine years. NAICS Code: 514519 Other Computer Related Services. 1. The ITES-3S Contract DOES NOT have a contract access fee. 2. The ITES-3S contract is decentralized and all Federal Contracting Officers are delegated procurement authority to place task orders against the contract. However, Task Order Requests (TORs) must be issued through the CHESS IT e-mart portal. 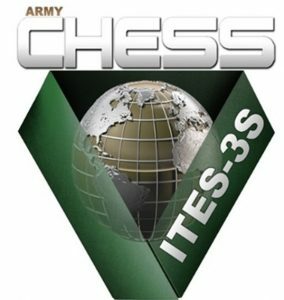 The procedures for using the contract are detailed in the ITES-3S Ordering Guide available at https://chess.army.mil. 3. There are 135 contractor teams, including 50 large and 85 small business primes, available on the ITES-3S contract. In accordance with the Federal Acquisition Regulation (FAR), individual task orders may be set aside for Small Business. 4. ITES-3S Customers can elect to use any allowed type of task order including Firm Fixed Price (FFP), Cost Reimbursement (CR), Time and Materials (T&M), or hybrids. There is no dollar size limit on individual task orders. 5. There are 133 individual labor categories available on the ITES-3S contract with ceiling hourly labor rates by year. Contractors may elect to bid discounted labor rates on individual task orders. 6. Tasks orders can specify the place of performance at Government or contractor sites anywhere within the CONUS or OCONUS including war zones.